Dr. Beasley has over 15 years experience in early phase drug discovery ranging from assay development and ultra-high-throughput screening to lead identification and lead optimization programs at Ligand Pharmaceuticals, Pharmacopeia Inc., and DGI BioTechnologies. He has planned and managed the discovery critical path of multiple programs with experience in a wide variety of therapeutic areas and target classes. He is also experienced in evaluation and implementation of new assay technologies, new liquid handling instrumentation, and new detection instrumentation. Dr. Beasley is a co-author on over 20 published papers, book chapters, and patents. He has also presented multiple invited oral lectures in the area of drug discovery. He has been a member of the Society of Lab Automation and Screening (SLAS, formerly SBS) since 1999, as well as the Laboratory Robotic Interest Group (LRIG). He is on the Editorial Board for the Journal of Biomolecular Screening and serves as a co-chair for Screen Design and Assay Technology Special Interest Group of SLAS. He was a postdoc at Princeton University in the laboratory of Professor Michael Hecht with a focus on de novo protein design. 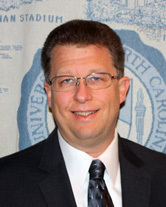 He received his Ph.D. in Chemistry from The University of North Carolina at Chapel Hill in the laboratory of Professor Gary J. Pielak with a focus on protein structure, function, and stability. He graduated with a B.S. in Chemistry from The University of Texas at Austin.